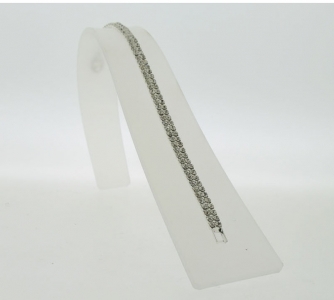 SILVER PLATED 2 ROW TIGHT SET CRYSTAL BRACELET. Item No. 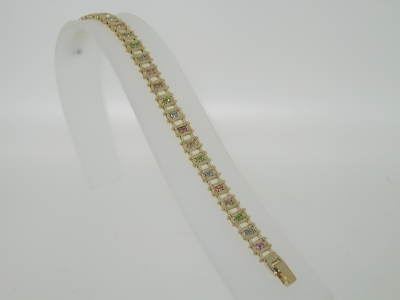 2 TWO-TONE CUBIC ZIRCONIA BRACELET. 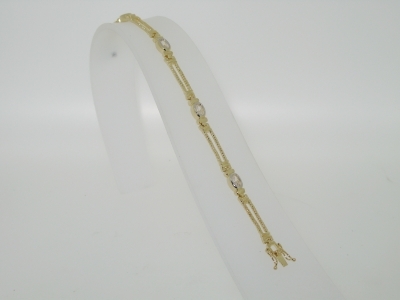 TWO-TONE GOLD / RHODIUM PLATED CZ BRACELET. ROLLED CRYSTAL BRACELET AVAILABLE IN MULTI-COLOUR AS SHOWN OR ALL CLEAR OR AMETHYST IN BOTH GOLD OR SILVER PLATED. Item No. 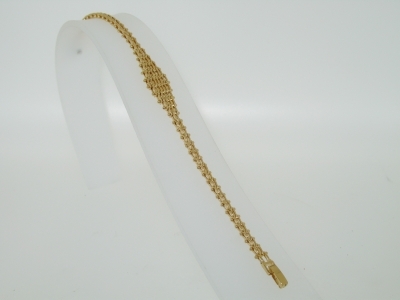 8 LONG GATE STYLE BRACELET. 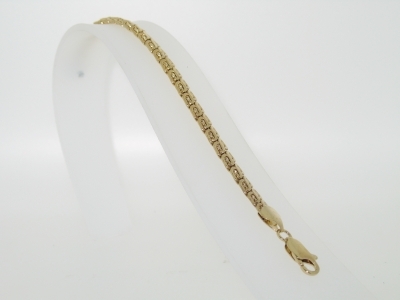 LONG GATE STYLE BRACELET AVAILABLE IN BOTH GOLD OR SILVER PLATED. TRADITIONAL GATE STYLE BRACELET AVAILABLE IN BOTH GOLD OR SILVER PLATED. Item No. 12 PATTERNED BRICK STYLE BRACELET. PATTERNED BRICK STYLE BRACELET AVAILABLE IN BOTH GOLD OR SILVER PLATED. 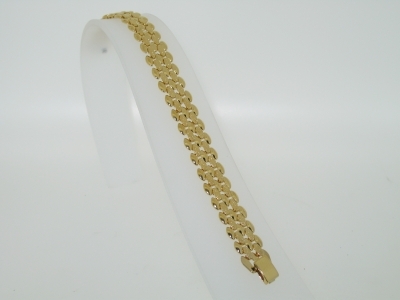 LARGE ROLLED BRACELET AVAILABLE IN BOTH GOLD OR SILVER PLATED. SMALL ROLLED BRACELET AVAILABLE IN BOTH GOLD OR SILVER PLATED. INTERWOVEN BRACELET AVAILABLE IN BOTH GOLD AND SILVER PLATED. Item No. 16 DOUBLE V STYLE BRACELET. 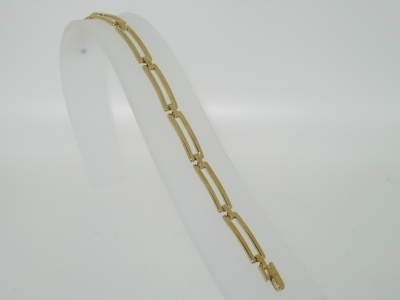 DOUBLE V STYLE BRACELET AVAILABLE IN BOTH GOLD OR SILVER PLATED.